As Architects, we offer and deliver full architectural services including feasibility studies, design, project management and construction information production. RIBA Plan of Work 2013 model for the building design and construction process. This includes brief development, initial concept and architectural design, preparation and submission of planning applications, building regulations information, construction detailing, construction inspections and construction contract management. In addition to this, we also provide digital models, physical models and visualisations. 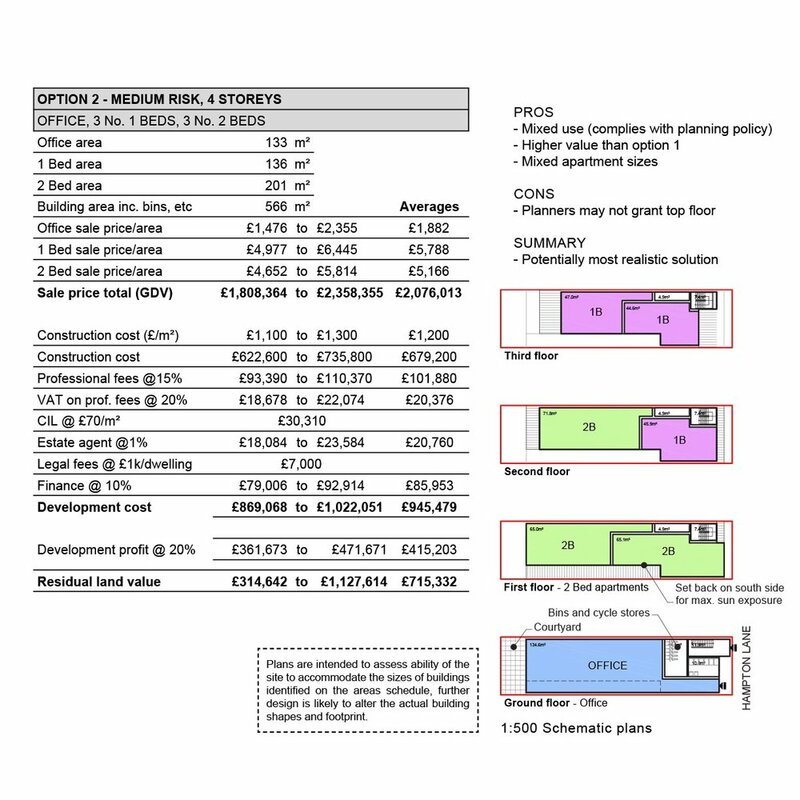 Following conversations with the client we prepare a brief outlining the aspirations of the project and any known limitations such as available funds, site boundary, timeframe etc. We then undertake rule of thumb assessment of sizes, costs, timescales, etc and apply them to the project. A short written report then confirms our findings for all stakeholders to review and agree the best route forward. For small domestic projects this process is usually simplified to a meeting at the property to check for any critical issues i.e. 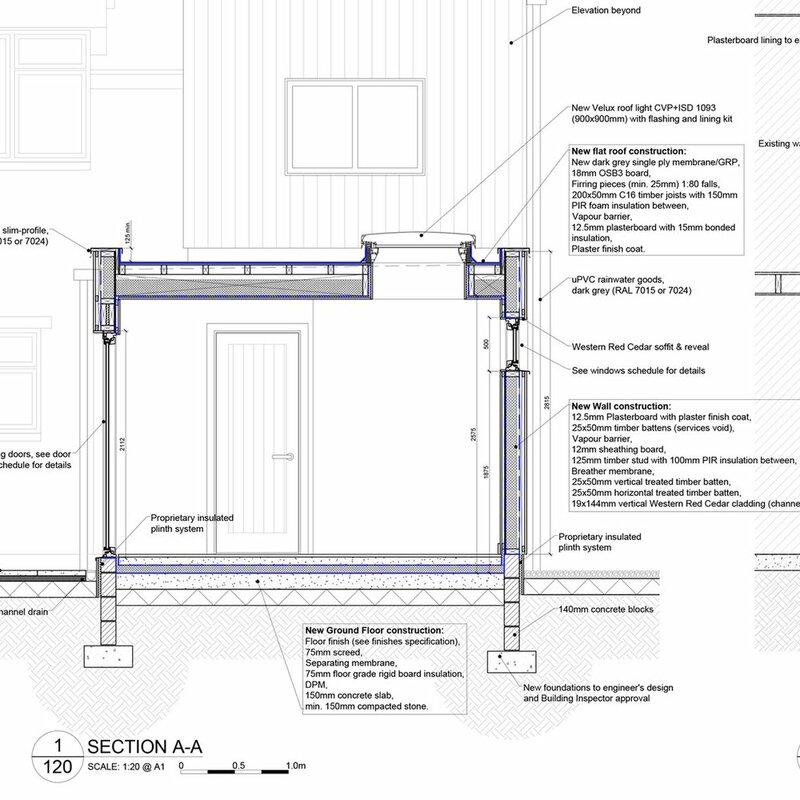 right to light breaches, party wall implications, proximity to sewers etc, and a follow-up email confirming our opinion. Please take a look at our FAQs / frequently asked questions. If your query hasn’t been answered please click and fill out our contact form. Once the project can be shown as physically, financially and politically feasible we prepare a concept design for review that best satisfies the project aspirations. The design is usually presented in the form of 2D schematic block drawings with the intended to indication of relative sizes only, not a design. A digital 3D model, visuals and physical model(s) may be necessary. 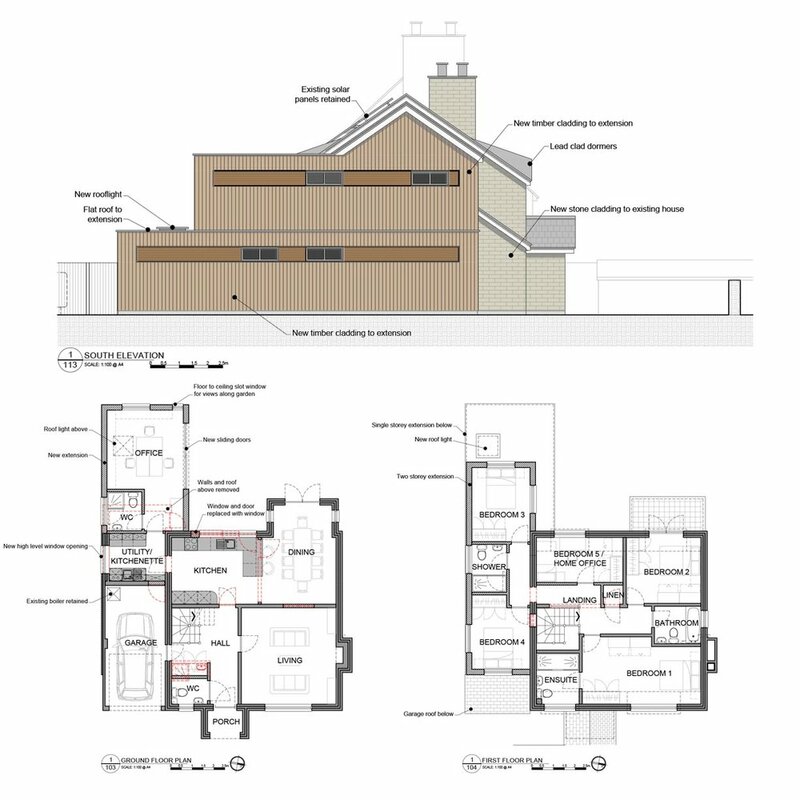 Once the concept design is agreed as suitable, we can can develop the design into an Outline Design proposal - see next stage of works. Once we agree on the project brief and/or concept design we prepare a design for review that best satisfies the project aspirations. The design is usually presented in the form of 2D drawings and digital 3D models with the intention of showing how the rooms/spaces are connected and how they look/appear. Once the design is agreed as suitable it is submitted to the Planning Authority to secure any necessary Planning or Listed Building consents. For large or potentially controversial projects pre-applications enquiries are recommended. We try and prepare as many supplemental statements as possible in-house, i.e. Heritage Statements, Sustainability Assessments, Design & Access Statements, etc. This is the preparation of detailed and technical information including the specification of materials, wall and roof make-ups and finishes. The level of detail is dependant on who is constructing the building and their contractual relationship with the owner/client. We coordinate other consultant’s such as structural engineers and energy assessors to ensure there are minimal unexpected clashes during the works. This package of information is then suitable for accurate pricing, Building Regulation compliance checks and forming construction contracts. Once a builder is appointed we can provide ongoing support to help them with unexpected construction issues or variations. We are often required to act as valuer and administrator for Contracts between builders and clients. This involves regular site visits to inspect progress and quality. Once the works are completed we can provide certificates confirming the quality is satisfactory and meets our expectation. These are often referred to by banks and mortgage lenders as PCCs (Professional Consultant Certificates) and used to secure lending on properties.